How your company looks online matters more than ever now. Testinmonials, reviews and ratings show up all over search results now and they can either drive business your way or else away from you to your competition. Part of your online strategy needs to be maintaining your conpany’s or organization’s reputation online. You could have the best website ever but if bad ratings show up, you won’t get as much business. See if you have claimed any listings at these website yet. If so, find out if you have logins. Next, create a spreadsheet or document to keep track of these logins. If you don’t have any logins yet, create this spreadsheet anyway so that you have a place to keep track of them. In your spreadsheet, add a column for listing how many ratings you have and another column for your average rating. You’ll use this to figure out which websites to concentrate on first. Next, you’ll want to make note of your company name and address at all of these websites. You need it to EXACTLY match what’s on your website. For best results, you need these all to be consistent. Even with your company name, if you are incorporated, then make sure the “Inc.” is included. Each listing is known as a “citation” and you need all of them to match exactly. Note: Getting all these listings claimed and adjust can be a lot of work. Once you have everything organized and matching, you’ll want to work on getting more ratings and getting better ratings. The best way to do this is to ask your current clients/customers to write reviews and post testimonials on your behalf. Do NOT post fake reviews and testimonials. This can really backfire. You want real ones. To get them, just contact your clients. You can do this over the phone or email or both. Ask them to post a glowing review for you. One idea to help get this going is to reward your customers for their time some way. Maybe it’s a gift card or a credit with your company or with a service you offer. You’re not paying for their review but for their time. They’re free to post whatever they want, of course. Got the Time to Do This? Yes, all of this can be a LOT of work. Maybe you’re up for it or maybe you’re looking at this thinking it’s a huge task that you don’t have time for. This could be just the excuse you’re looking for to contact your clients and see how they’re doing. You can use this as an opportunity to reach out to them and you might even drum up some business as you talk with them. The other option you have is to pay for all of this to be done. We found one company called Shopper Approved that can help take care of this for you. They have agreements with Google, Bing and Yahoo and they can syndicate and display your 5-star listings for you. This is what they do. They collect product, merchant, and video reviews from customers who buy from ecommerce sites. 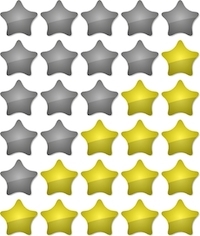 The reviews are syndicated to the seller ratings systems on Google, Yahoo, and Bing. They also promote reviews across social media, G+, YouTube, and more. It starts at $30/month which is a reasonable rate – a definite time saver! And if you’d like help with setting up your spreadsheet, doing research or anything else related to your online reputation management, please contact Webstix and we’ll see how we can help you. "I thought it was going to be a real problem communicating this maintenance work but your team understood and made it easy for us. Thanks!"